A passionate lawyer with over 25 years experience in General Law Practice with major interest in Civil Litigation, Safety Law, Corporate and Commercial Law, Alternative Dispute Resolution, Real Estate and Legislative Drafting. Skills: conducting trials to completion at the High Court; arguing applications at the Court of Appeal; preparing various corporate and commercial agreements; participating in various alternative dispute resolution proceedings; working on several commercial transactions and actively participating in the smooth conclusion of complex negotiations relating to same; active involvement in the negotiations of public private participation (PPP) arrangements; assisting in drafting of bills which were passed into law. Thought leader on issues bordering on corporate governance and the rights of indigenous people in Nigeria. Project-managed to launch: lagosstatejustice.org/agf which was established to provide information, data, news and details of events (past, present & future) as it affects the people of Lagos State upon the successful hosting of a stakeholders summit; “Awaiting Trial Process/Inmate” in June 2009. The primary aim of the summit was to provide a platform for Legal Aid Service Providers in Lagos State; to share information and to agree on action points for prison intervention, particularly the dilemma of Awaiting Trial Inmates in the 5 prisons in the State. The Summit, which entailed public interaction, sought to review among other things the status of Awaiting Trial Process/Inmate (ATPs) or Pre Trial Detainees (PTDs) in prisons in Lagos State and intervention initiatives by government and non government legal aid service providers. It has been categorised as a huge step in the realization of criminal justice reform in Lagos State. It was well attended by stakeholders with approximately 200 participants. Currently organising another project ‘Justice Delay and Nigeria Millennium Development Goals: Effects of Delay in Business Litigation.’ The government, private, public and individual laud the idea of millennium development goals and look earnestly towards the attainment of same. Conference organiser – the summit on Awaiting Trial Process/Inmates (June 2009), review of the Civil Procedure Rules (2010). Lagos State Emergency Management Agency. Representing the State Government in court where sued as a party etc. 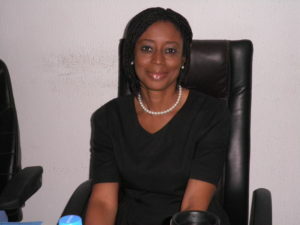 Successfully prepared bills that were passed into law: School Health Law which ensured free meal and milk for pupils in public school; Universal Basic Education Law which provided for mandatory basic education for pupils and made it unlawful for parents not to send children/wards to school; Lagos State Metropolitan Area Authority deals with transportation; Lagos State Emergency Management Agency. Coordinating the activities of the company’s factory. Worked with the company secretary to advise the company on all legal matters including preparation of all legal documents. Participated in meetings on behalf of the company. Verified and ensured sufficiency and authenticity of collateral securities provided by customers. Nigerian Law School, Lagos State, Nigeria. International Bar Association (IBA), England.